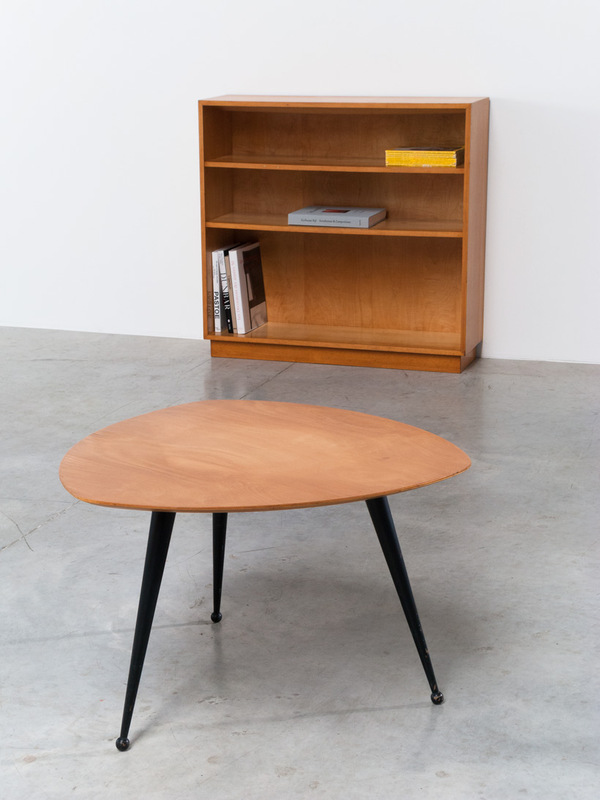 Coffee or Side table TB16 designed by Cees Braakman for Pastoe, 1953. Birch wood top with black lacquered wooden legs with knot feet. Table de salon ou table d'appoint TB16 conçu par Cees Braakman pour Pastoe 1953. Plateau en bois de bouleau et pieds en bois laqué noir.